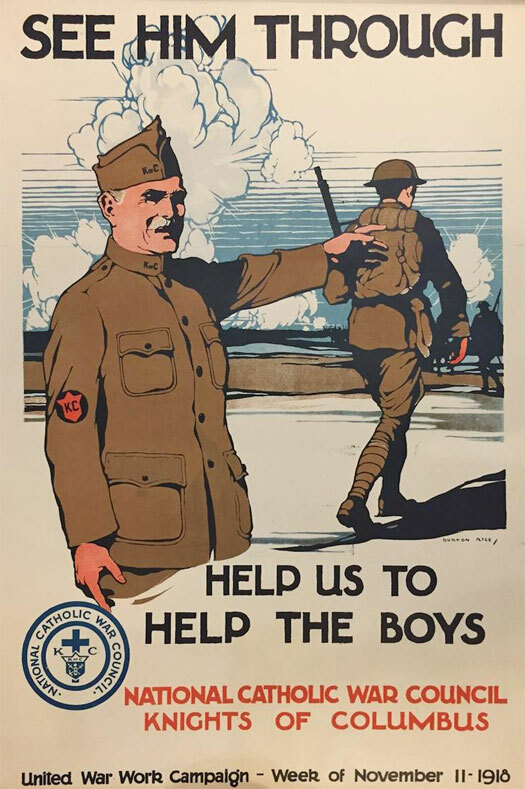 Posters have advertised many things, but the images and messages used for military recruitment - where loss of life is highly probable - are among the most powerful. 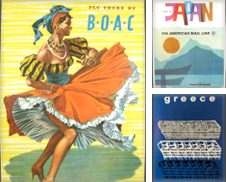 Honor, patriotism, guilt, fear, pretty girls, foreign travel, adventure, and bravado were (and still are) used to entice young men into enlistment stations. Almost every kind of psychological pathway to a signature on the dotted line has been explored - with the fear and guilt of accusations of cowardice being perhaps the strongest. 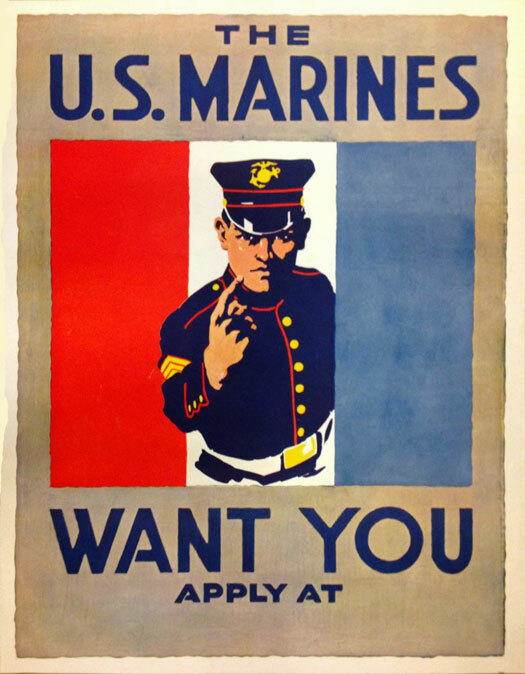 The two most iconic wartime recruitment posters involve powerful pointing figures and were issued in World War I - Britain's Lord Kitchener "Wants You" (designed by Alfred Leete) and America's Uncle Sam "I Want You for US Army" (designed by James Montgomery Flagg). 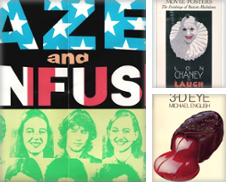 It's striking to see how often pointing is used in these posters although eyes turned toward the heavens and Lady Liberty also make frequent appearances. 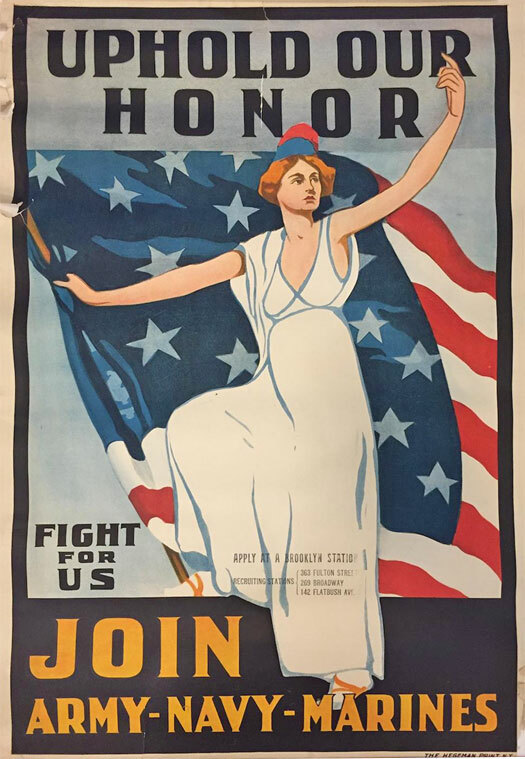 Thousands of posters in varying styles were issued in WWI alone, by all participating nations, although few have survived. 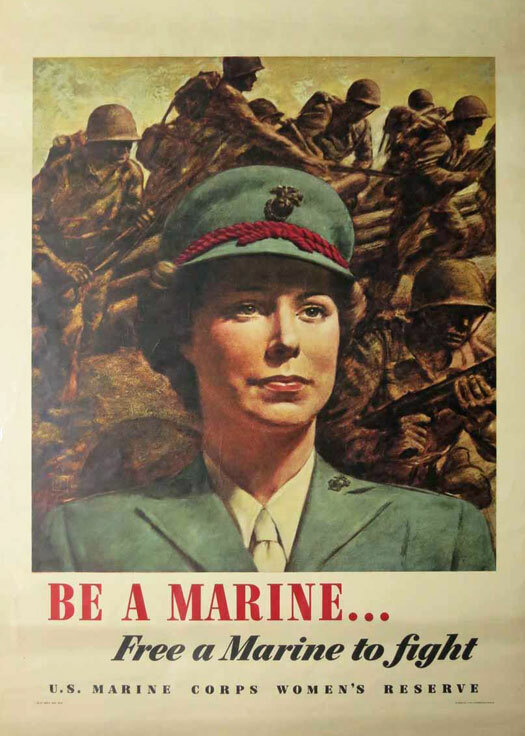 Among the famous names involved in military recruitment was American illustrator Howard Chandler Christy, who became known for producing patriotic "Christy Girl" posters for the US Navy and Marine Corps in World War I. "Gee!! 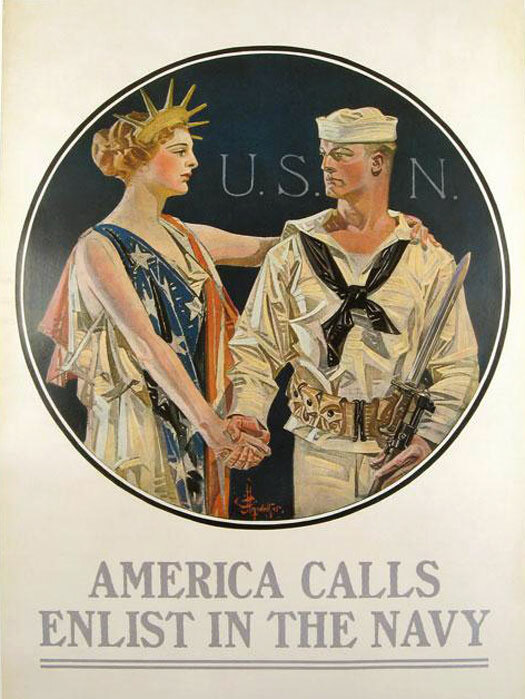 I Wish I Were a Man, I'd Join the Navy," is one of his most famous works. 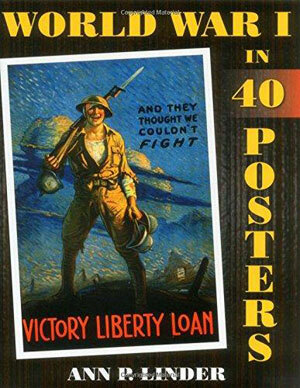 The military were not the only ones to use posters during wartime. 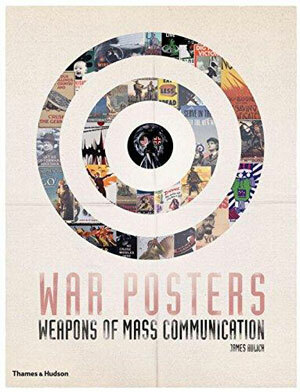 There are many examples of posters targeting women and civilians. 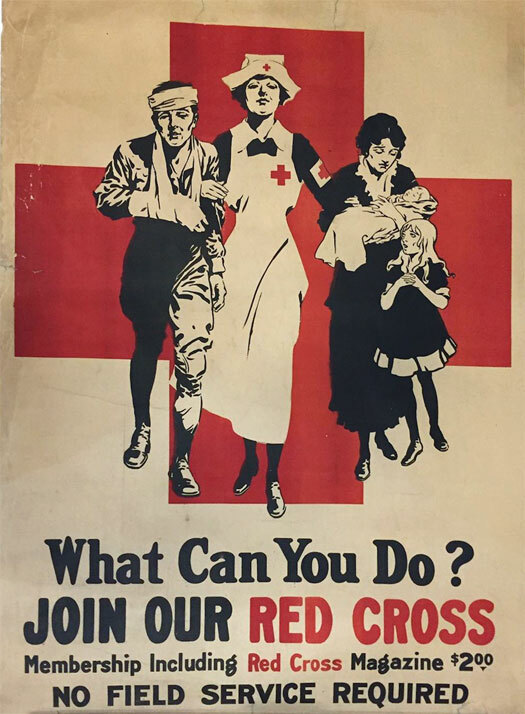 The Red Cross and numerous home-front organizations in the United States and Britain used powerful posters to recruit manpower and also woman-power. 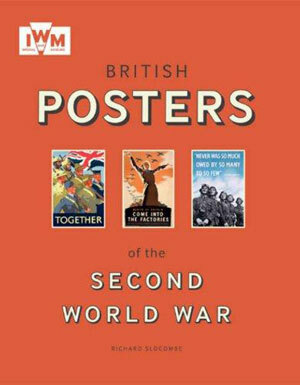 This selection of wartime posters below includes recruitment for inventors, the Land Army, nurses, YWCA and the timber industry. 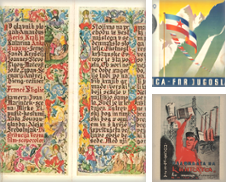 These posters document a key moment in the history of women's rights as governments were forced to ask females to do jobs previously restricted to males. 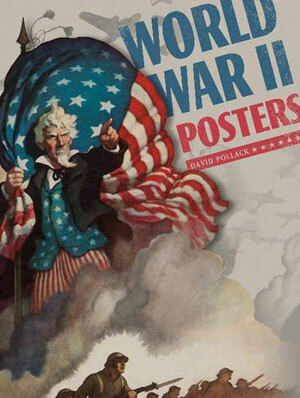 Posters were a particularly important method of communication during World War I as newspapers were the only other means of mass communication at the time. By World War II, radio was widely used. 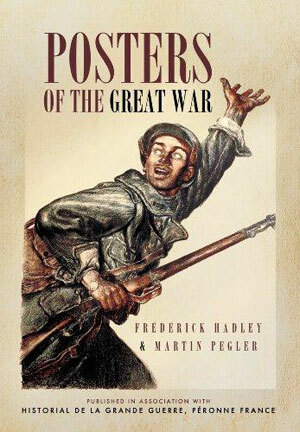 One of the best ways to learn more is to read The Poster in History by Max Gallo - a beautiful but highly informative book stretching from the storming of the Bastille to 1990s advertising campaigns. 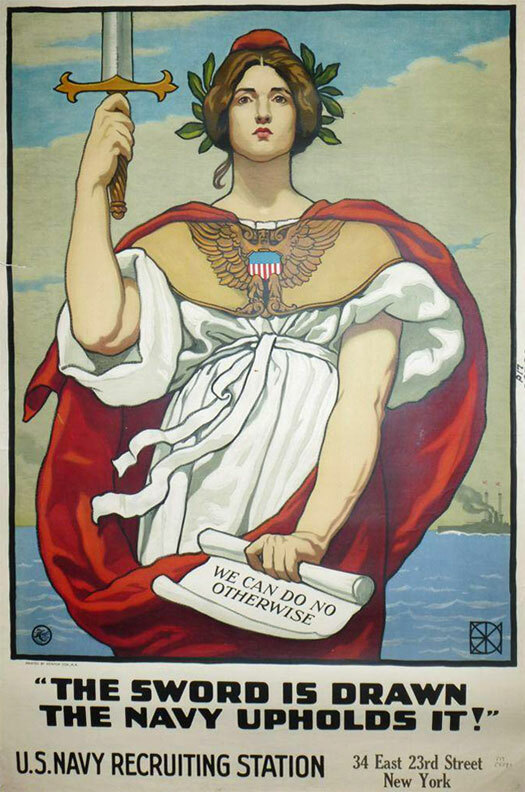 A World War I poster featuring Lady Liberty and the Star Spangled banner. 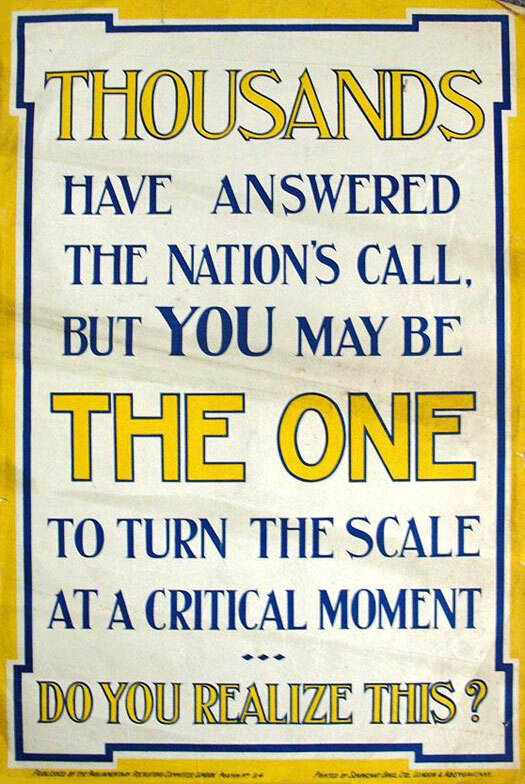 A World War I poster aimed at ex-pat Britons living in the US. A recruiting sergeant beckons toward potential recruits. Designed by Charles Buckles Falls (1874-1960), an American artist who also illustrated books and magazines. 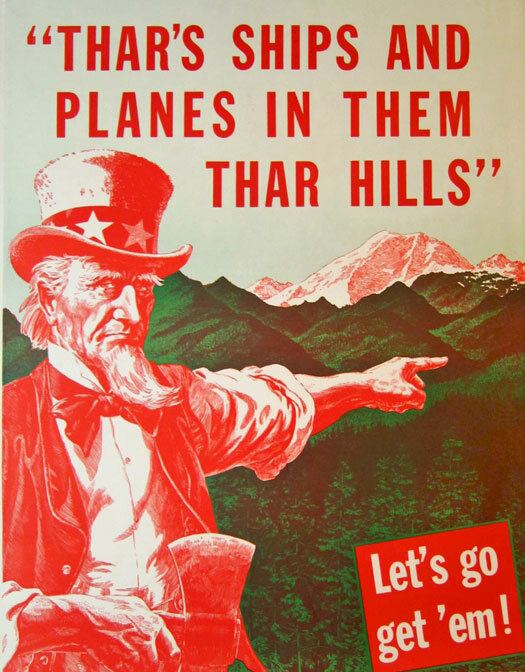 A home-front poster encouraging production and labor in the American lumber industry published by the National Lumber Manufacturers Association. 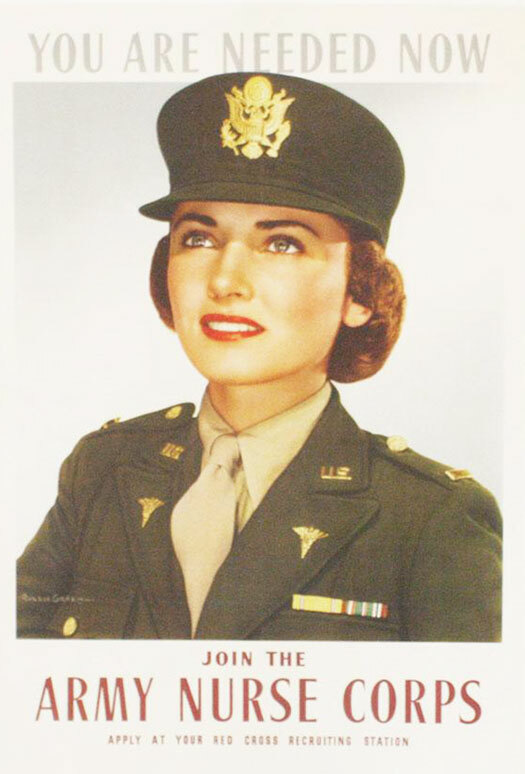 The Marine Corps Women's Reserve (WR) was signed into law by Franklin D. Roosevelt on 30 July 1942. 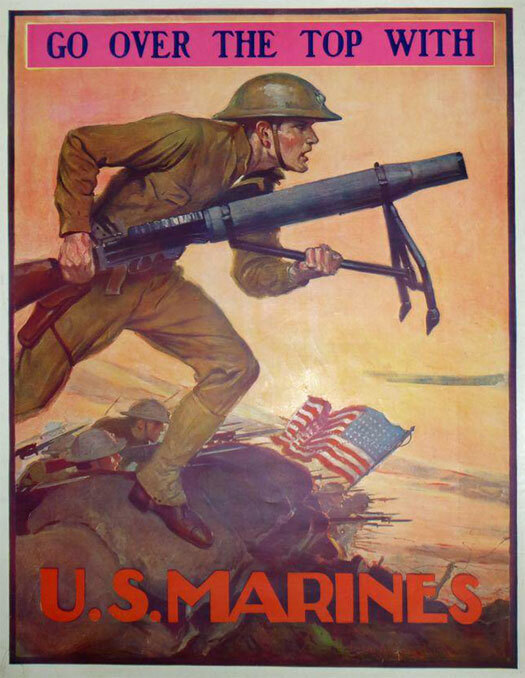 A scarce WWI poster showing a marine charging forward with a Lewis gun. Exceptionally scarce. 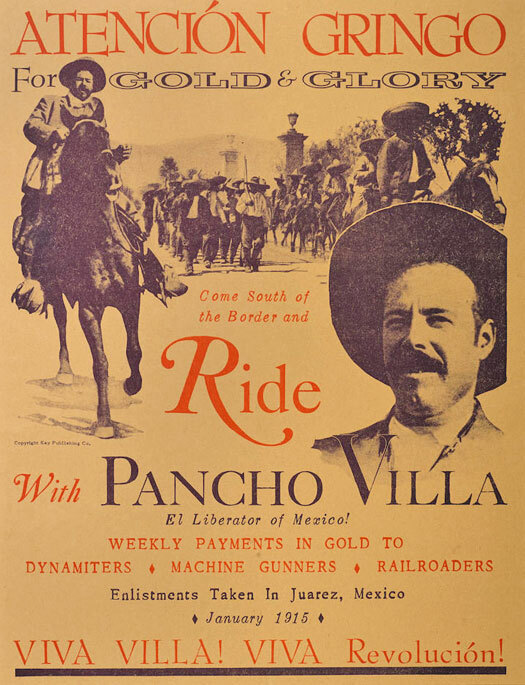 Designed to attract Americans to fight in the Mexican Revolution, this poster offers riches and glory to anyone who rides with Villa. 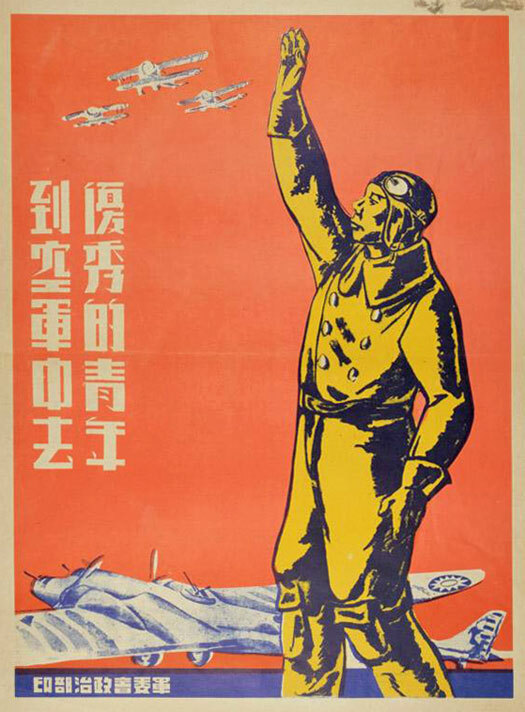 The text translates roughly as "the outstanding youth are joining the air force." Printed by Political Department of Military Affairs Committee. 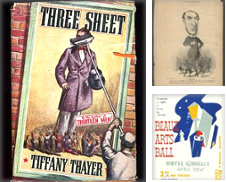 Designed by famed American illustrator J.C. Leyendecker, who produced numerous covers for the Saturday Evening Post. 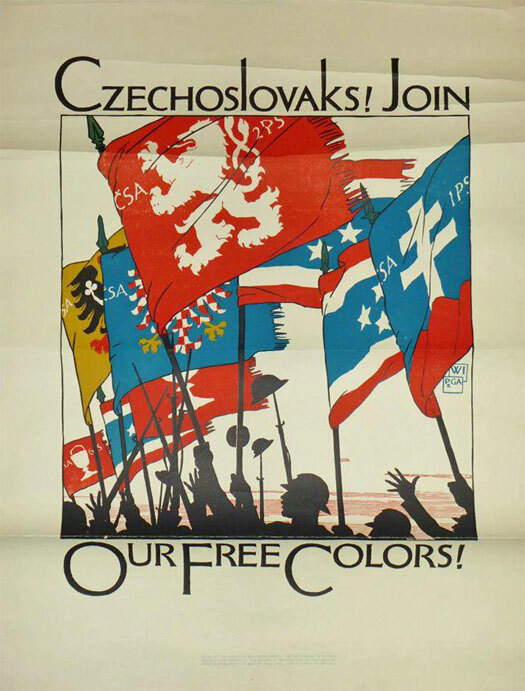 A World War I poster by Czech artist Vojtech Preissig designed to recruit Czech immigrants living in Europe to join the Czech legion. 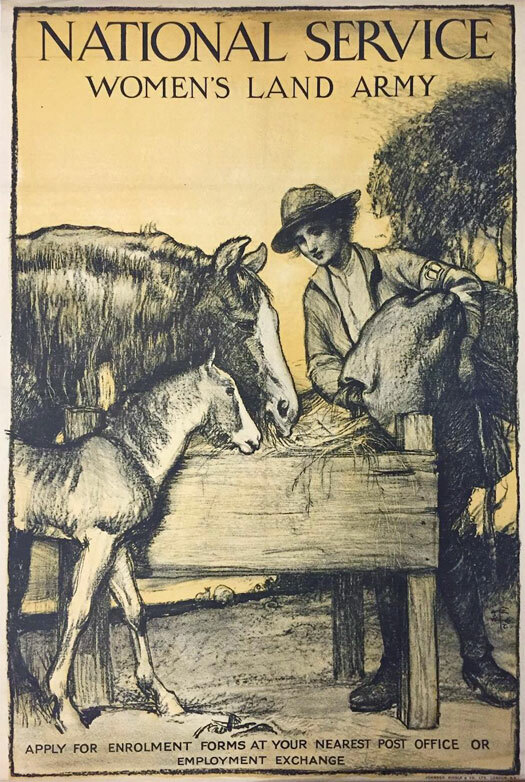 The Women's Land Army (WLA) was founded in 1917 to replace British men who went away to war. More than 23,000 women joined to work in agriculture and timber. 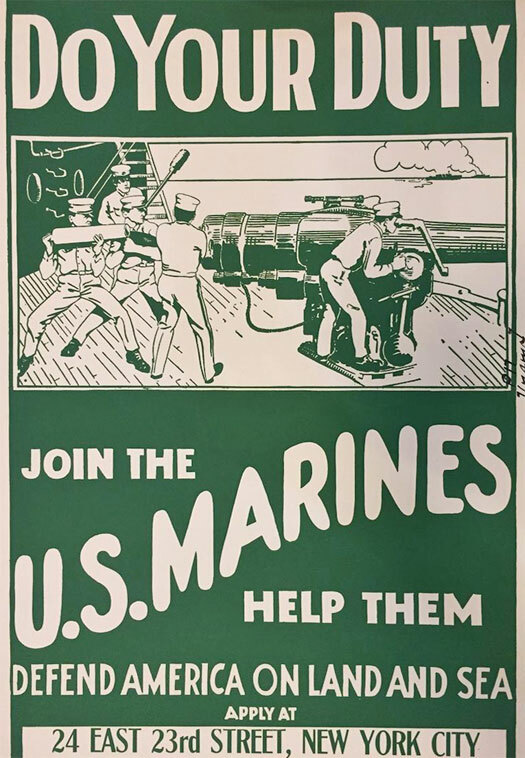 Undated poster showing marines firing a ship's gun. 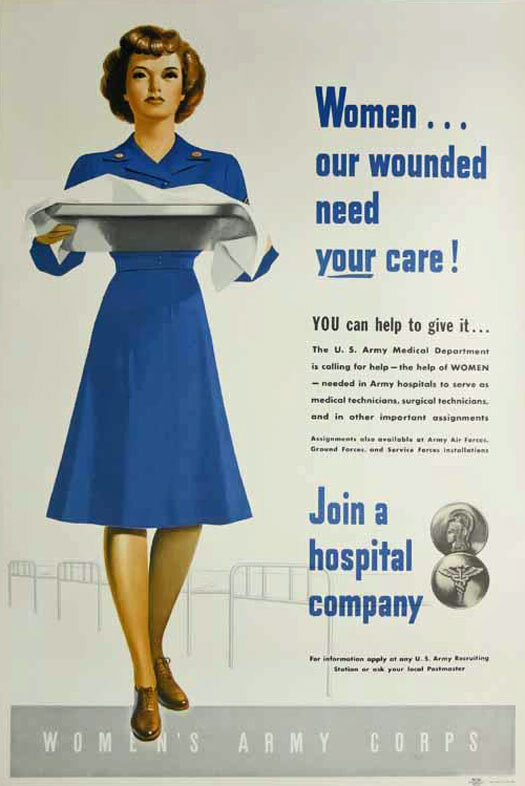 Women in the WAC served in numerous medical jobs, including laboratory technicians, psychiatric social workers, and stenographers. 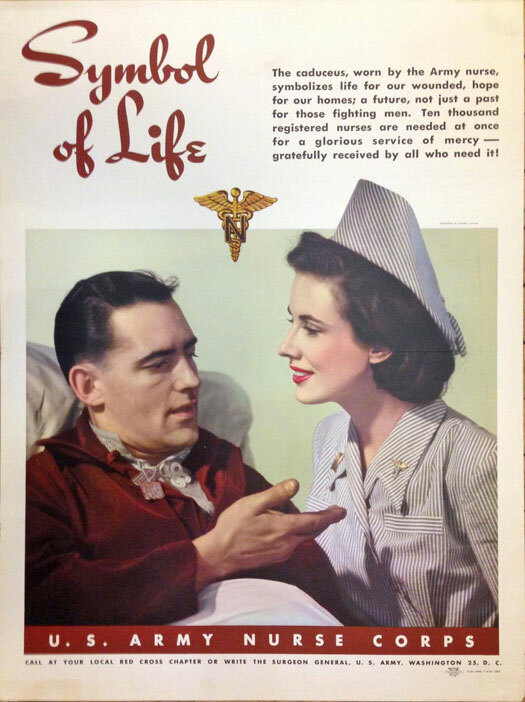 Text reads: "The caduceus, worn by the Army nurse, symbolizes life for our wounded, hope for our homes, a future, not just a past for those fighting men. Ten thousand registered nurses are needed..."
Designed by artist Kenyon Cox, who was a muralist, illustrator and writer based in New York City. 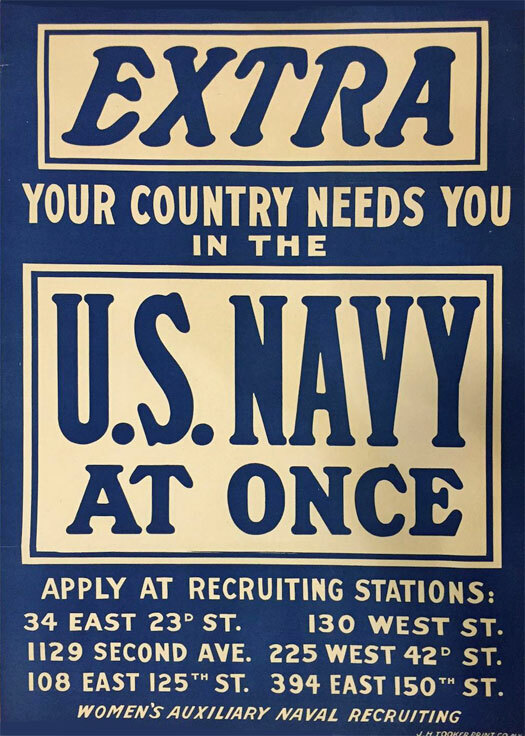 Many of the 13,000 women who joined the auxiliary navy supported the war through clerical work. 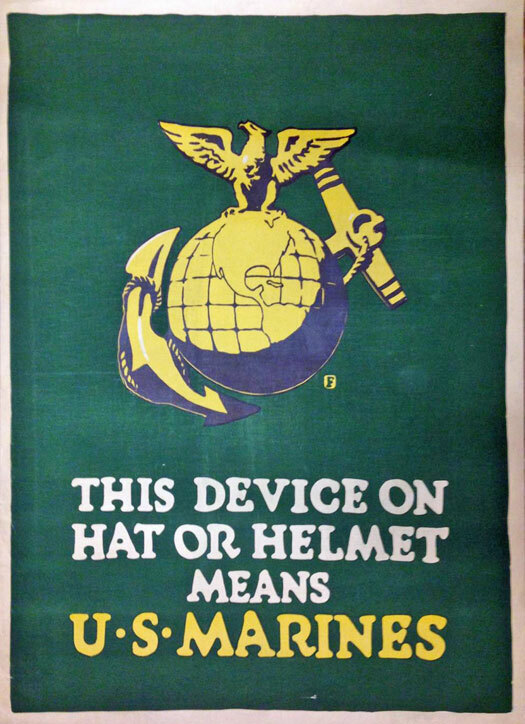 Founded in 1775, the US Marines were so famous that their logo alone was a powerful recruiting device in World War 1. 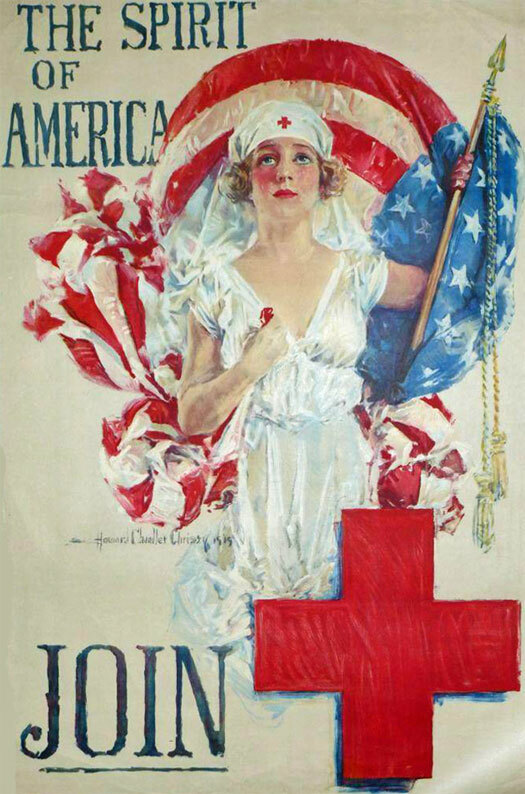 World War I-era poster of a nurse with the American Red Cross symbol. Designed by Howard Chandler Christy (1873-1952). 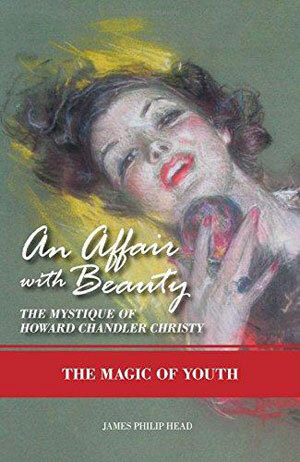 Another one designed by Howard Chandler Christy. 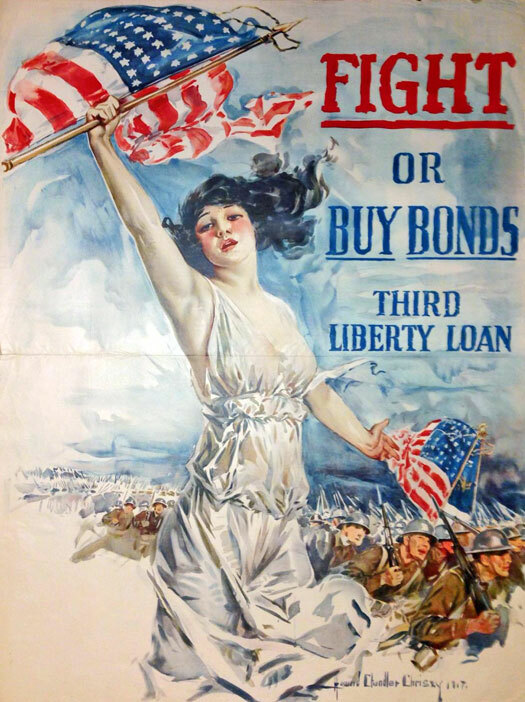 The Third Liberty Loan was a huge fund-raising effort. 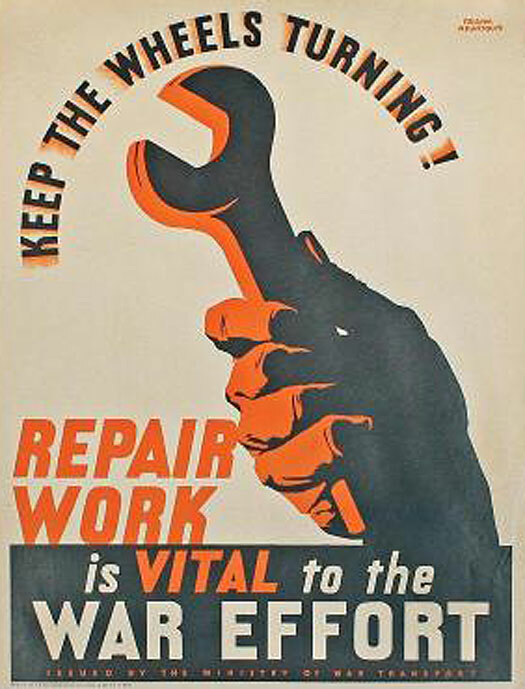 The Boys' Working Reserve was organized to recruit young volunteers to work in agriculture and industry during World War I. 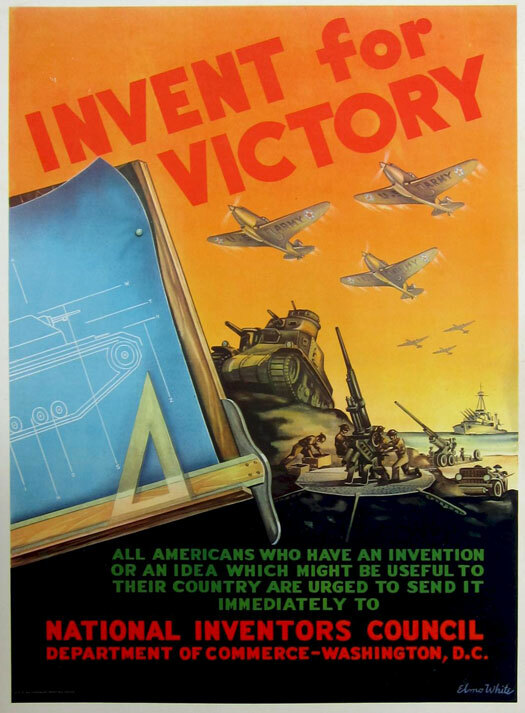 Issued by the National Inventors Council. 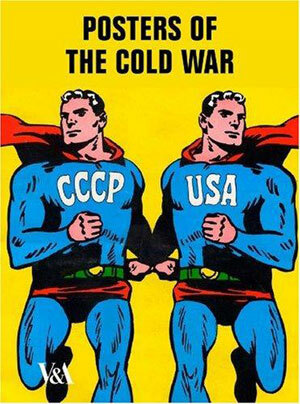 Designed by Elmo White, an artist for the federal government. 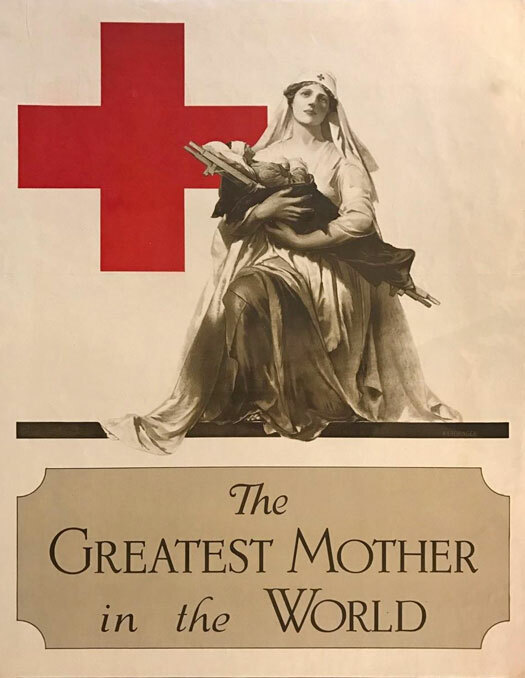 One of the most famous Red Cross posters during WWI, this image evokes Michelangelo's Pieta where Mary holds the baby Jesus. Designed by Alonzo Earl Foringer. 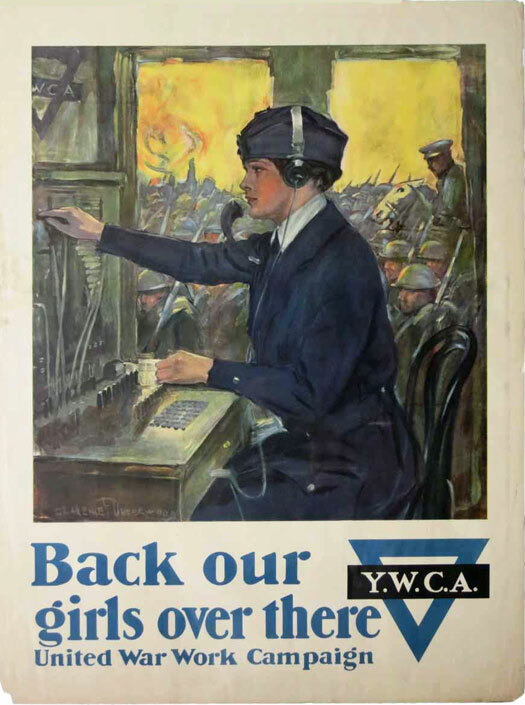 Designed by Clarence Underwood, this poster was a rallying cry from the YWCA. 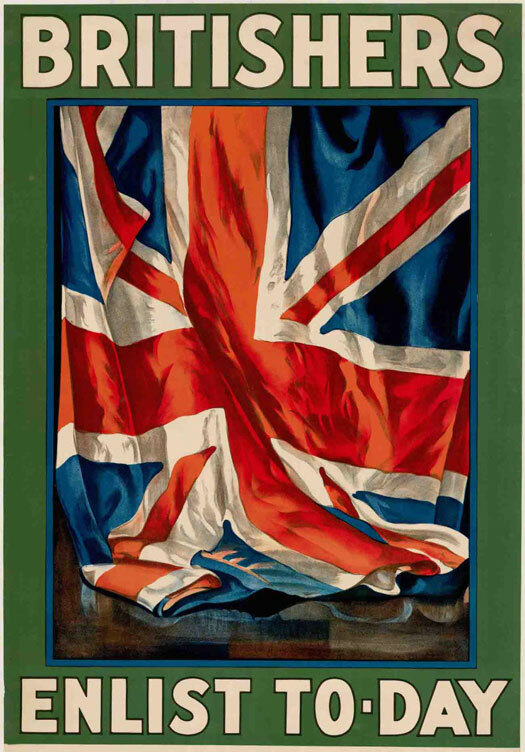 A British home-front war poster designed by Frank Newbould (1889-1951) who often illustrated posters for British Rail and London Transport. Note the bold minimalist style. A stenciled black and white Red Cross volunteer flanked by an injured soldier and a mother with two children. 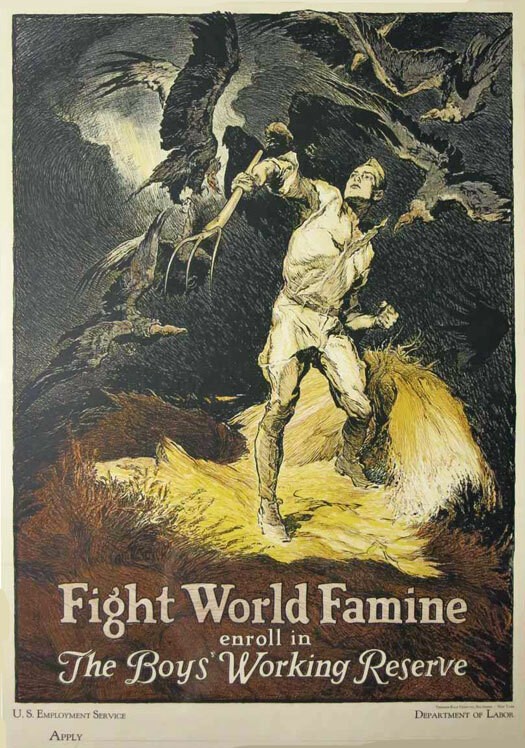 This poster is advertising a 'United War Work Campaign' for the week of November 11 1918, the date that the Armistice came into effect. 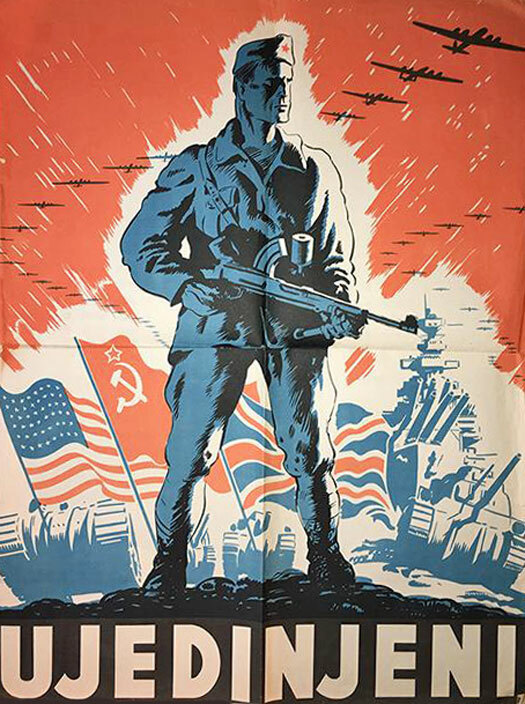 A British Second World War poster by graphic artist Pat Keely, who designed for the Ministry of Information. 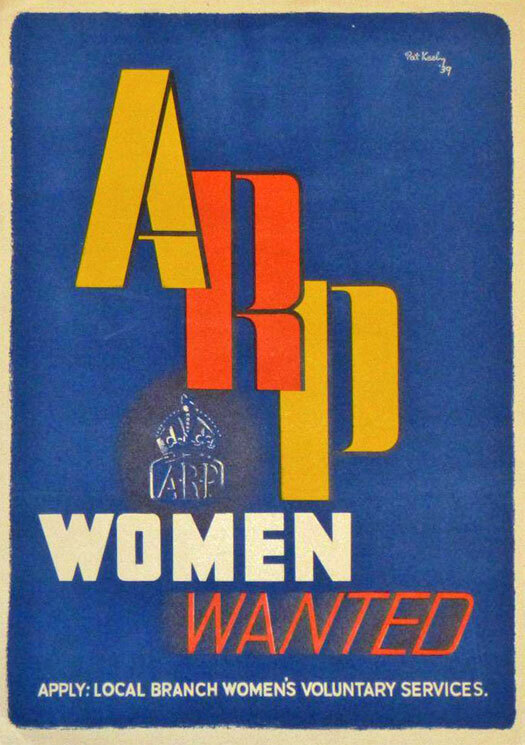 It recruited women to join the Air Raid Precautions (ARP) organization. 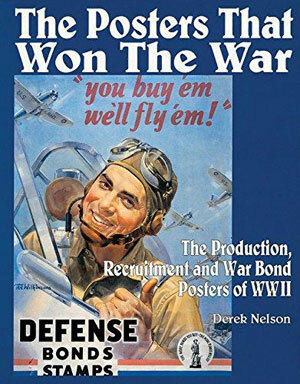 Do you think wartime recruitment posters were powerful?